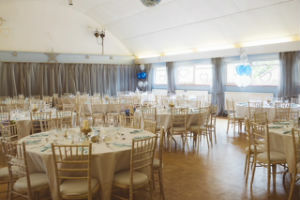 We have two halls available for hire. The halls are managed by Peter Turner. 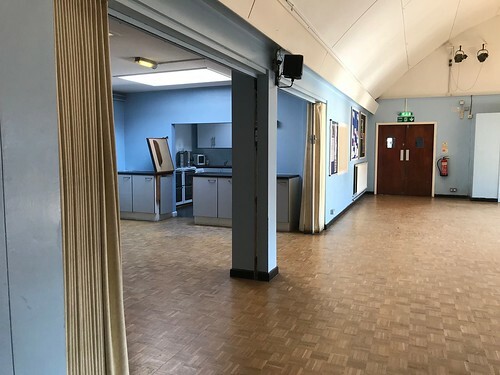 Please phone him on 020 8393 2723 or email him on peter.turner8@btinternet.com to check hall availability and to ask any questions you may have. Peter is happy to help and show you around, if you would like to see the halls in person. He will also be able to give you a quote for your event. This hall is attached to the Church, but has got a separate entrance. 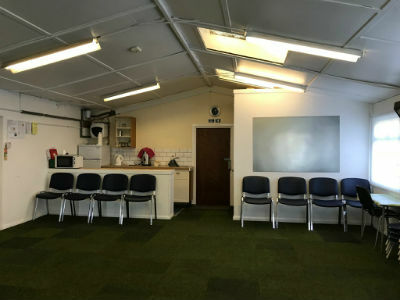 It is fully equipped with a kitchen, a large stage and men and women toilets, disabled toilet and nappy changing facilities. It is ideal for children's parties, wedding receptions and larger gatherings. 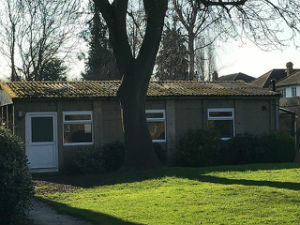 This is a smaller hall on the meadow at the back of the Church and has tea and coffee making facilities, a toilet and nappy changing facilities. It is ideal for smaller parties, events and meetings. Both halls are in regular use by many community groups and you can find their details under Community Hall Users or by clicking here.